We were approached by New Forest Ice Cream, one of the largest independent ice cream producers in the UK. 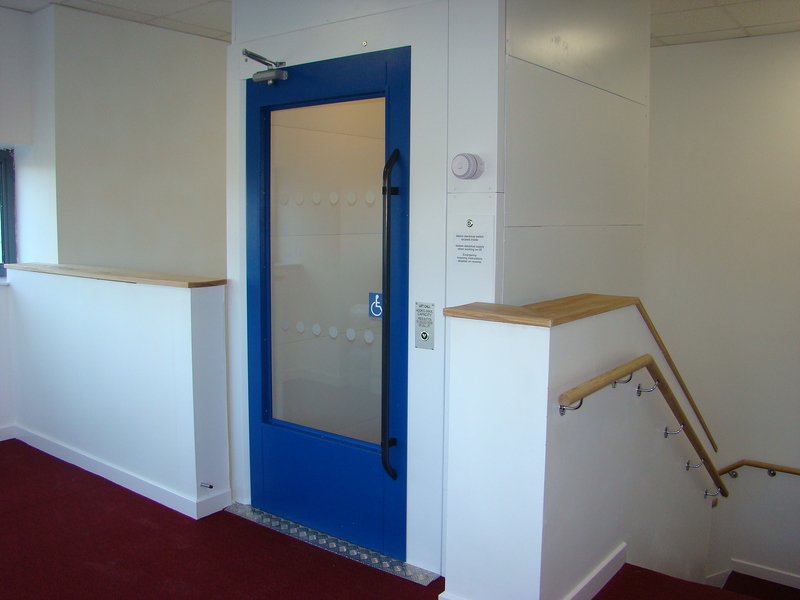 They were looking to install disabled access to the 1st floor at their head office in Lymington, Hampshire. New Forest Ice Cream is a family run business that was established over 30 years ago and has supplied the nation with the highest quality products. After attending site and having a meeting with the client it was clear they wanted a practical lift that would have lots of space. This was so that 1st floor of the office was accessible for disabled members of staff as well as any visitors who used wheelchairs. We installed a disabled platform lift measuring 1100mm x 1400mm - enough space for a wheelchair as well as a carer if necessary in it's own aluminium structure. The total distance the lift travelled was 4.5 metres across the 2 floors. The lift was finished with glass swing landing doors which were painted blue with the rest of the shaft painted white to match the building's interior. The lift was installed within 3 days. To see more of our platform lift projects in commercial buildings take a look at our National Army Museum, Chiswell Street, Southwark Council, Seven Dials and Medway Court projects. Posted in Commercial Buildings, Projects and tagged lifts in hampshire, lifts in offices.